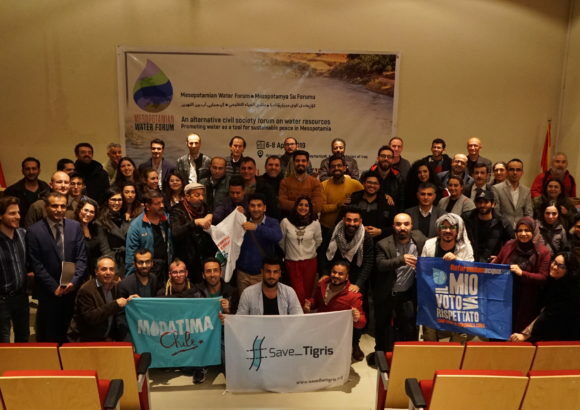 From the 19th to the 26th of January 2018, in six different Iraqi cities, young activists and environmentalists organized art exhibitions in response to the tragic drought caused by low water levels in the Tigris and Euphrates rivers. 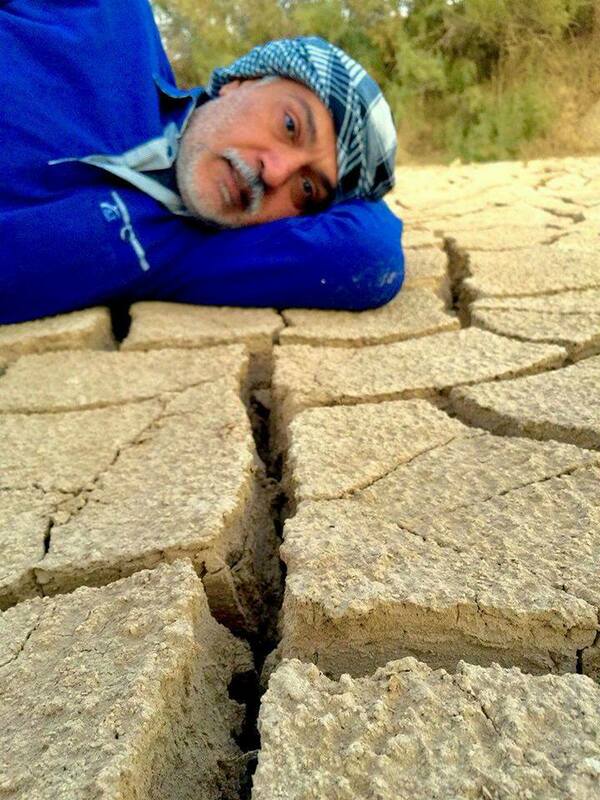 The activists aimed to bring needed attention to the catastrophic impact of the drought which has become a living nightmare for many Iraqi residents. The exhibit reflected an earnest desire to see the government and the responsible executive authorities act immediately to find effective solutions to solve this crisis, thereby saving the lives of millions of people whose existence depends on access to water. Exhibits were organized in Baghdad, Nasiriyah, Maisan, Hit, Diwaniya and Najaf, and were coordinated with help from the Humat Dijlah Association and the Iraqi Social Forum. Included in the exhibits were photographs, paintings and portraits by young artists from the cities where the exhibits occurred. While the art visually portrayed the the fragile relationship between the people and the environment, protests occurring alongside the exhibitions raised awareness about the urgent need to respond to this issue, and the negligence seen so far at the national level in dealing with the reality of drought. This crisis is not the consequence of new and recent practices; it did not emerge last week, or last month as a full-fledged emergency. Rather it is the result of years of neglect in dealing with water security in Iraq, and reveals that water must be placed high on the list of national priorities. By the end of last year, drought reached all those regions of Iraq dependent on filling their water needs from the rivers. According to official statements from the Iraqi Ministry of Water Resources, the severe drought now gripping the country is simply the natural result a scarcity of rainfall, and is no cause for excessive concern: the crisis, the Ministry claims, is normal. Environmentalists insist that the drought could have been avoided by better management of water resources and by developing a realistic water storage plan so that reserve water would be available when needed. Activists believe that the Turkish and Iranian dams on the Tigris and Euphrates rivers play a key role in intensifying the drought crisis in Iraq, and the Iraqi government’s failure to discuss these projects with the two countries involved has contributed to the dire situation today. Joint meetings involving Turkey, Iran and Iraq must be held in order to come to some clear decisions about shared water rights within the Mesopotamian region. 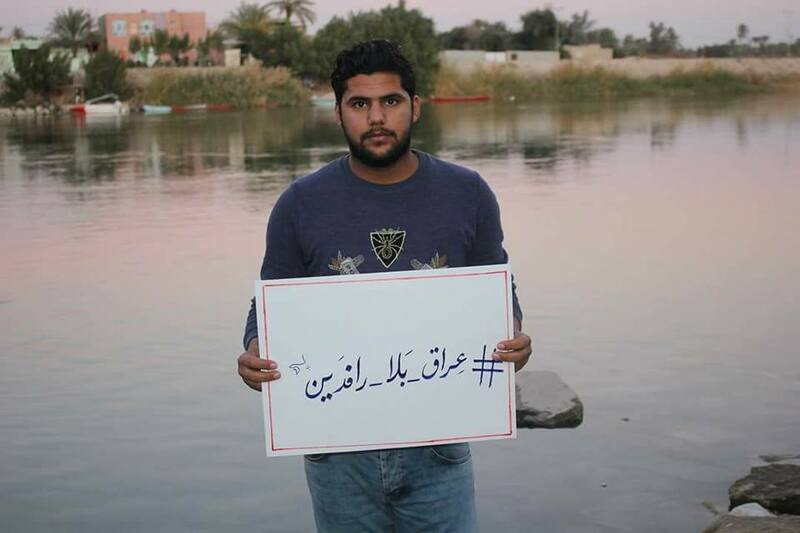 “Iraq Without Rivers” is a symbolic title chosen by activists: it alludes to the fact that Iraq, long known as the country of rivers, may in the near future be without his most famous ones. This is sure to happen if the water issue remains at the bottom of the list of national priorities.